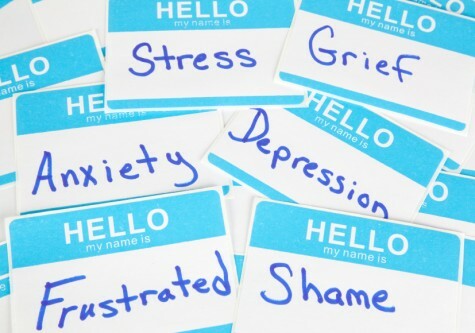 At some point in each person’s life, they have experienced some type of anxiety. It might not be an anxiety disorder, but it’s still pretty stressful. Everyone has anxiety to some extent. It’s not a disease but an emotional, psychological state. It turns into a disorder when it begins to interrupt your lifestyle. If you have an anxiety disorder, worry and irrational fear become a constant thing, changing the way you live your life. 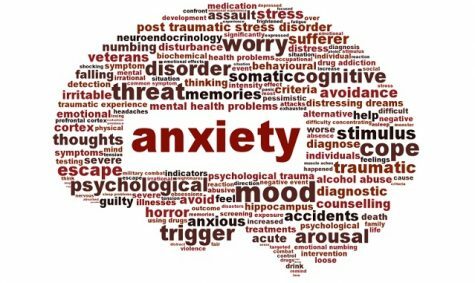 According to Medical News Today, anxiety disorders affect 40 million people in the United States and is the most common group of mental illnesses in the coun try. Only 39.9 percent of those people recieve treatment. There is still no way to know exactly why anxiety turns into anxiety disorders for some people. Like other mental health problems, anxiety disorders can be caused by changes in the brain, environmental stress, and even genes. The disorder can also be linked to brain circuits malfunctioning in the controlling of fear and other emotions. 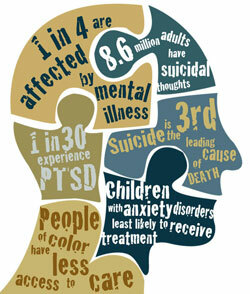 Caused by trauma, fear, worries, or stress, anxiety is common amongst high school students. Most of the time the signs that a child is suffering from anxiety go unnoticed by parents, teachers, and even the child itself. Symptoms get confused with disruptive behavior or upset stomachs. In certain kids, anxiety will show itself by the child refusing to interact with other students, affecting their social life as well. g into bad grades and seeming like the student doesn’t care. Anxiety and Depression Association of America says that anxiety based school refusal affects 2 to 5 percent of school age children. Commonly taking place between ages five and six and between ten and eleven. Talking to a student at Jonathan Alder, I asked how anxiety had affected her school, social and at home life. She said it affected her school grades because having to turn in late assignments, made her fear the teacher would look down on her, giving anxiety that made her not want to turn in the late work ever. But this isn’t something just found in children. Adults have it too. Stephanie Tinberg, English teacher, shared some information about dealing with her anxiety as an adult. “Living with anxiety is hard, as a teacher you’re looked up as a role model and need to have control, this consistent person in your student’s life every single day so you need to be able to get yourself in control quickly. But in a weird way it’s helped in social situations because it helps me tell who my real friends are. It’s still hard because you kind of feel awkward, but for me I’ve learned who is understanding and really there for me. Childhood is looked at as easy in some adults eyes, but as times change children have more things to worry about. Whether its at school or at home, high amounts of anxiety affect a child’s learning ability. A few different forms of anxiety being panic attacks, which are completely random. The most common symptoms including chest pains, irregular heartbeats, sweating, and sleep problems. xiety, is when a child is worried about being separated from caregivers. And post traumatic stress disorder, which develops after an assault natural or human caused disaster or accident. To overcome an anxiety disorder, there are a bunch of different steps you can take. For some, the option of medication can seem scary, and it is a big step to take. Other options are psychotherapy, which is counseling to help with emotional stability, and cognitive behavioral therapy which teaches the person how to recognize the behavioral patterns that trigger their anxiety. If you aren’t ready to seek professional treatment, you can try cutting down on caffeine, eat healthy, follow a sleep routine and exercise. These things might help you lessen or control your symptoms.